Men and women suffering from thinning hair can restore volume with personalized hair restoration at our New York, NY practice. If you are considering this procedure, you are probably wondering what the end result will look like. Results can vary for every patient, depending on factors such as hair color, scalp flexibility, and hair shaft thickness. Today, our team at True and Dorin will explore hair shaft thickness and hair transplants and discuss specific factors that can help patients enjoy a successful result. In simple terms, each strand of hair is made of two primary parts: the root and the shaft. The shaft is the result of new cell growth in the root. For example, when the cells inside of the follicle divide, they push up older cells which gradually die. The result of this process is the visible portion of the hair. Cuticle: The outermost surface of the hair, the cuticle is comprised of transparent calls that overlap, much like the scales on a fish. The cuticle is what gives hair its elasticity. Therefore, the general condition of the hair is determined by the health of the cuticle. Cortex: The middle layer, called the cortex, is comprised of rope-like protein fibers. If the cuticle becomes compromised, then the cortex is more susceptible to damage. This is how split ends occur. Medulla: The core of the strand, the medulla, is the supporting structure, although not much else is known about this innermost layer. It is interesting to note, however, that a strand of hair can be strong and intact with or without the medulla. The thickness of the hair shaft is one of the most important factors to consider when undergoing a hair transplant. For example, the appearance of baldness is exacerbated when light passes through sparse or absent hair. Therefore, the thicker the hair shaft, the better the outcome will be. In addition, hair that has more wave or curl will give the appearance of more coverage, as well. For this reason, those with tightly wound hair, found commonly among the populations of Africa, Oceania, and the Caribbean, usually achieve excellent results with hair restoration. The thickness of the hair shaft is not the only factor to consider when undergoing hair restoration. Hair color plays a significant role as well. More specifically, the contrast between your hair color and skin color are significant. A patient with fair skin will have much better results if the natural hair is light in color, as there is less contrast between the two. Those whose hair closely matches their skin will require fewer transplants to achieve the desired results. Additionally, patients considering hair restoration will attain much better results if their scalp is loose and flexible. This will allow the surgeons to insert new follicles easily. If you have an abnormally tight scalp, then hair restoration may not be for you. 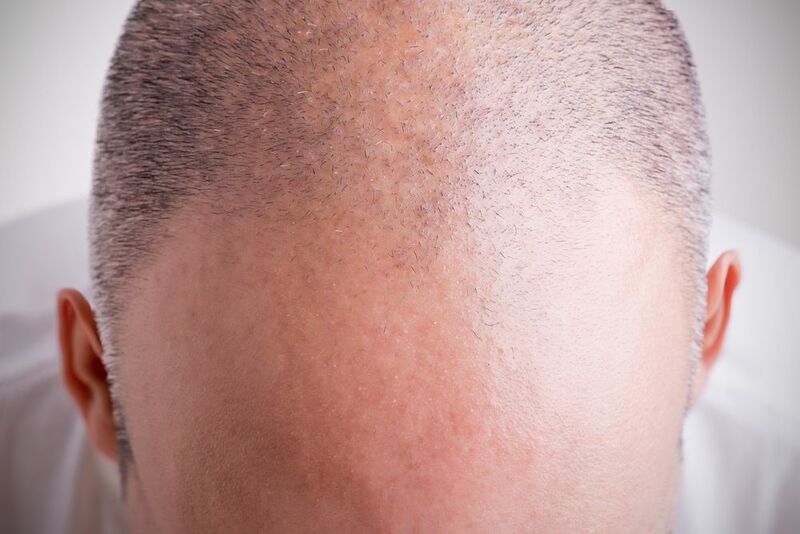 If you are self-conscious about thinning hair, schedule a consultation at our practice. Our doctors can help you determine if hair restoration will meet your needs. Contact us online or call us at (212) 826-2525.